And all that connected to a certain brand at the special event in front of the dozens or even hundreds of people. How striking and notable this kind of performance can be? Through the years of our entertainment career, we have managed to create a unique and fascinating event by blending music, dance and painting. When it comes to a multi – talented genius like our Jose Luis Quiceno, art is multiform and inspiration comes alive in many different ways. 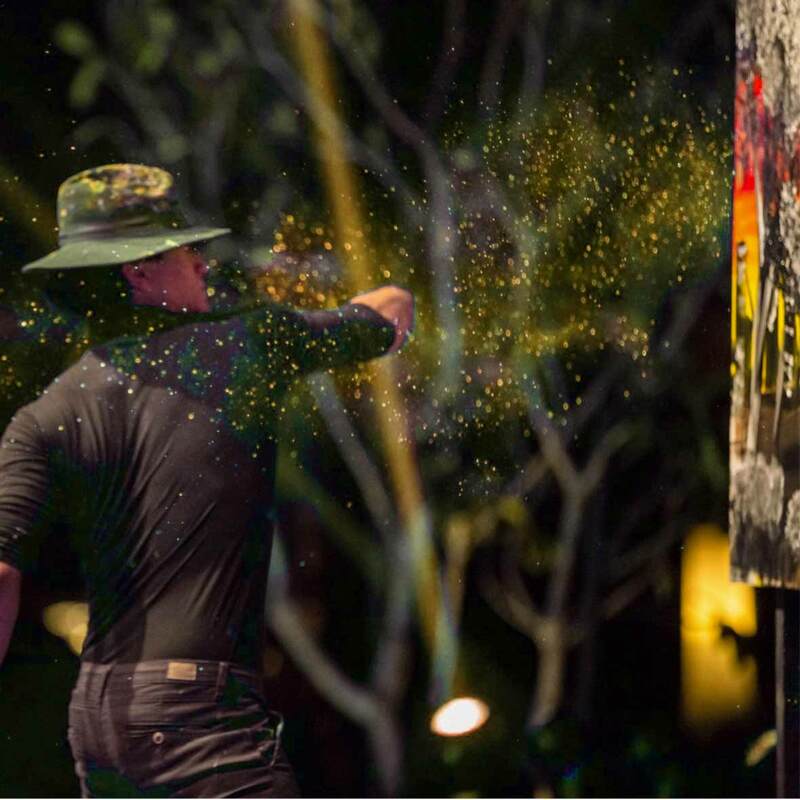 A unique signature combination of painting and dancing leaves a permanent mark and creates a remarkable “wow” effect on each and every person who has the opportunity to enjoy his performance. An empty canvas comes alive and transforms into a one of a kind masterpiece that reflects the exceptional array of sensations and ideas brought to life through motion and color. Be it a speed of a fantastic car, a smell of fresh tobacco in a Cuban cigar, an emotion that a scent of a new perfume brings, or a portrait of a legend like Bob Marley, you can feel it, smell it, hear it, live it. This fusion of fine art, music and dance can inspire you too. To dream, to create and to enjoy life and share the originality of your own creations, brand, products, or services with others.